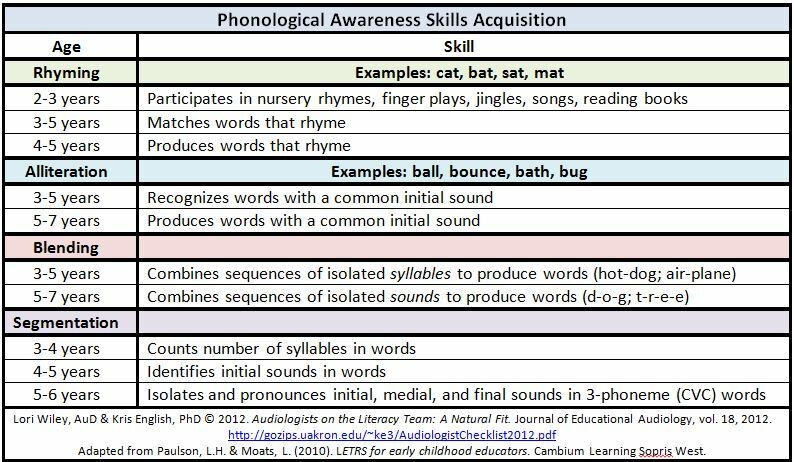 Children with hearing loss are at high risk for delays in phonological awareness. This skill is heavily reliant upon fine auditory discrimination ability. 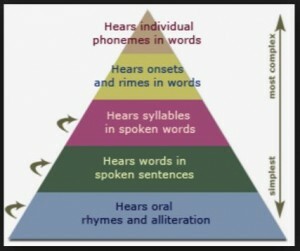 Reading fluency requires that the individual has a clear, readily accessible mental referent of each of the phonemes. Any ‘mushy perceptions’ will cause confusion and slower reading speeds. At least average reading fluency abilities are necessary for a child to ‘read to learn’ after grade 3 and keep up with successively more challenging reading material. Chipper Chat has easy-to-use quick assessments for each of the 12 phonological awareness areas allowing you to identify where to pinpoint your instruction and readily measure progress. All of the activities can be performed to strengthen auditory and pre-reading skills simultaneously or can be presented visually (cued speech or visual phonics) to children who are deaf visual learners. The engaging materials, fun magnetic wand and overall flexibility of Chipper Chat make it a great addition for ‘catching up’ children’s spotty early reading skills. Say “at.” Now, put “ch” at the beginning. What do you get? “Chat,” as in “Chipper Chat!” – the coolest magnetic way to improve your students’ pre-reading skills! Phonological Awareness Chipper Chat is so comprehensive that it targets twelve different areas of phonological awareness skills. 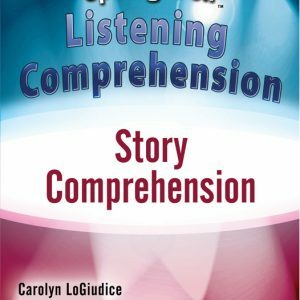 It is the ultimate resource for students who are pre-readers and students who have acquired some reading skills, but they need additional assistance in the area of phonological awareness. With 450 items in each phonological area, students will have a phenomenal amount of phonological fun! That’s a grand total of 5,400 opportunities to improve pre-reading skills! 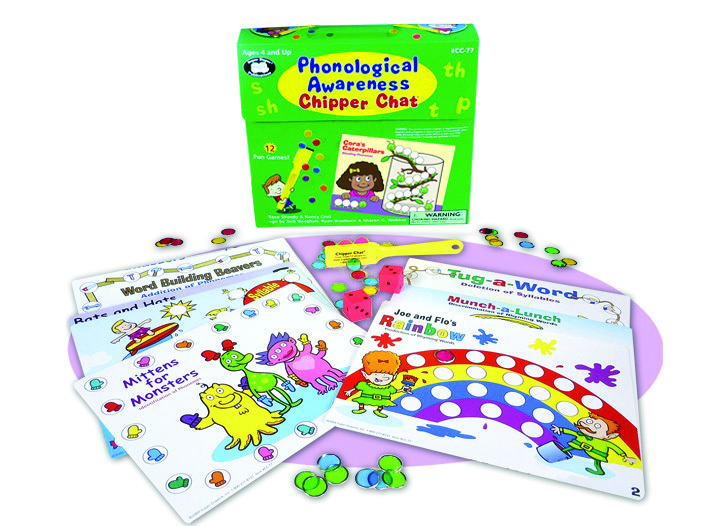 Phonological Awareness Chipper Chatalso includes a “Quick Assessment” for each of the twelve areas. The “Quick Assessments” provide the teacher/therapist with an easy method to determine a starting point in the program, emerging skills of the student, and mastery of skills after remediation. During the game, the students listen and respond to the phonological tasks. They earn chips as the game progresses. Then, the fun continues when the chips “fly up to the magic wand” at the end of the game!